Kate Lewis has been named chief content officer of Hearst Magazines. Kate Lewis has been named chief content officer of Hearst Magazines. The announcement was made by Hearst President and CEO Steven R. Swartz and Troy Young, president of Hearst Magazines, to whom Lewis will continue to report. The appointment is effective immediately. Lewis joined Hearst Magazines Digital Media in 2014 as vice president, content operations and editorial director. She was promoted to senior vice president in 2016. 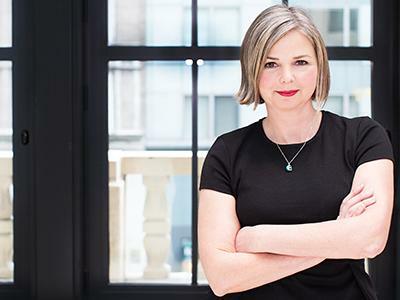 In her new role, Lewis will direct content strategy for Hearst Magazines brands in print and digital, overseeing all editors-in-chief and digital directors in the U.S., and liaise with the company’s international network to maximize global content opportunities. She will also work closely with product and technology teams, consumer marketing and the division’s branded content unit, HearstMade. Globally, Hearst Magazines encompasses more than 300 print editions and 240 digital brands. In the U.S., Hearst publishes 25 brands in print with a readership of 89 million and 25 digital brands with an audience of 108 million. In January, the company acquired health and wellness publisher Rodale, with brands including Men’s Health, Women’s Health and Runner’s World. Before joining Hearst, Lewis was senior vice president and editorial director at Say Media, overseeing content operations, editorial strategy and audience development for Say’s portfolio of digital brands. Prior to joining Say, Lewis held senior executive roles at Condé Nast Publications, after 10 years as managing editor of Self, where she oversaw editorial and production, digital projects, book publishing, events and television partnerships. Under Lewis’ leadership, monthly unique visitors across the Hearst Magazines Digital Media portfolio more than tripled. She also oversaw content and strategy for the portfolio’s social media, which has grown to an audience of 220 million, and was responsible for both editorial video and branded content. She was named an Advertising Age “Woman to Watch” in 2018. Hearst Magazines is one of the world’s largest publishers of magazine media across all platforms, with print and digital assets reaching a combined audience of 145 million readers and site visitors each month–over 70 percent of all women and more than three-quarters of millennial women in the country (source: 2017 comScore Multi-Platform/MRI 04-18/F17). The company publishes more than 300 editions and 240 websites around the world, with 25 titles in the U.S. The division also operates iCrossing, a global, full-service digital marketing agency, and CDS Global, a business process provider. Hearst Magazines holds a majority stake in KUBRA, a customer experience management solutions company, and is a partner with Condé Nast in the publishing services company PubWorX. Hearst is one of the nation’s largest diversified media, information and services companies with more than 360 businesses. Its major interests include ownership in cable television networks such as A&E, HISTORY, Lifetime and ESPN; global financial services leader Fitch Group; Hearst Health, a group of medical information and services businesses; transportation assets including CAMP Systems International, a major provider of software-as-a-service solutions for managing maintenance of jets; 31 television stations such as WCVB-TV in Boston and KCRA-TV in Sacramento, California, which reach a combined 19 percent of U.S. viewers; newspapers such as the Houston Chronicle, San Francisco Chronicle and Albany Times Union, more than 300 magazines around the world including Cosmopolitan, ELLE, Men’s Health and Car and Driver; digital services businesses such as iCrossing and KUBRA; and investments in emerging digital entertainment companies such as Complex Networks. Follow us on Twitter @HearstLive and @Hearst.